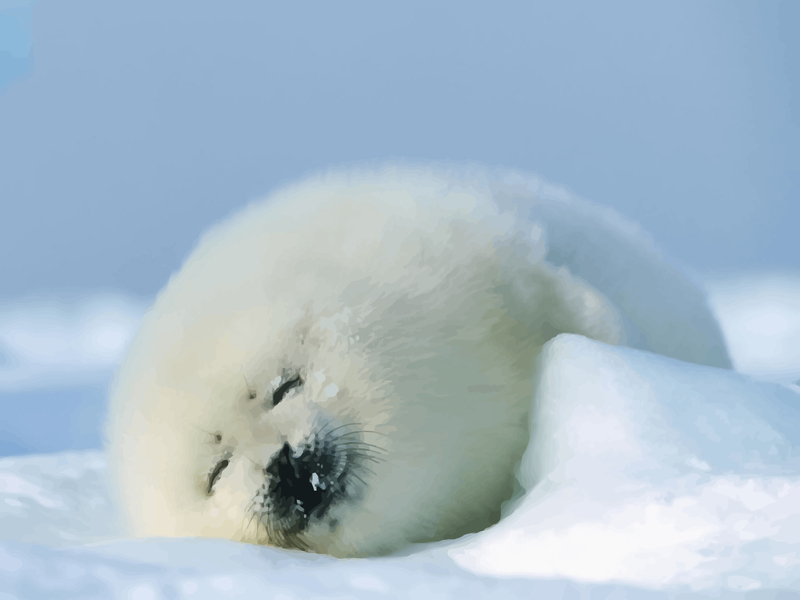 Cute baby seal resting in the snow wallpaper. Pup seals are really adorable with their fluffy white fur. When newborn they weigh only 7 kilograms/15lbs. They grow very quickly due to the mother's milk that is extremely fat. They gain about 2 kilograms per day. Original wallpapers are © of respective artists.